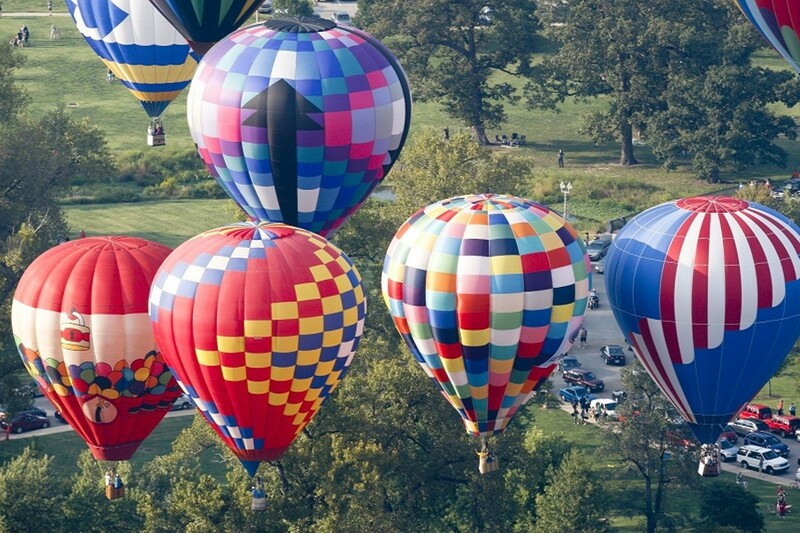 The Great Forest Park Balloon Race began in 1973, which means at least two generations of St. Louisans have gone to the race as kids and then brought their own kids to the race in due time. That's a long-standing tradition, even by St. Louis standards. The 2018 edition starts at noon on Saturday, September 15, in Forest Park (www.greatforestparkballoonrace.com), with a series of performances by Consuming Kinetics Dance Company, the Muny Kids and the Purina Pro Plan Performance Team, which is a team of very good dogs leaping after Frisbees. Purina also sponsors the kids area, which is stocked with inflatables, games and a mural painting experience. At 4:30 p.m. the "hare" balloon — PNC Bank's Orange Blossom balloon — takes off, with the chase balloons beginning pursuit at 4:45 p.m. From that point forward, the skies over St. Louis County will be full of balloons drifting where the wind takes them. Admission to race day is free.